If you have a young child, take note: car seat guidelines are changing — again — and this change is big. In fact, according to the American Academy of Pediatrics, babies should remain in rear-facing car seats until they reach the height and weight limit for the seat, at which time they can safely be turned around. The updated guidelines differ quite a bit from previous recommendations, which stated that children should remain rear facing until they are/were 2 years old. However, according to the AAP, age is no longer a factor. Instead, infants and toddlers should ride rear-facing "as long as possible, until they reach the highest weight or height allowed." Of course, this means many children will remain rear facing even after their second birthday (and, in most cases, well past their third). However, the decision to update the recommendations was based on new data. As such, car seat recommendations were changed accordingly. But rear-facing car seat safety isn't the only car seat safety a parent should keep in mind. Once a child is turned around, they should remain in a forward-facing seat up to that seat’s weight and height limits, usually 60 pounds or more and once a child outgrows their forward-facing seat, they should be moved into a belt-positioning booster seat until the lap and shoulder belts fit properly. What's more, children under 13 years of age should always be seated in the rear of the vehicle. Of course, this change may be disappointing for some, as many parents cannot wait to turn their child's car seat from rear-facing to forward-facing. (It is a big milestone, after all.) 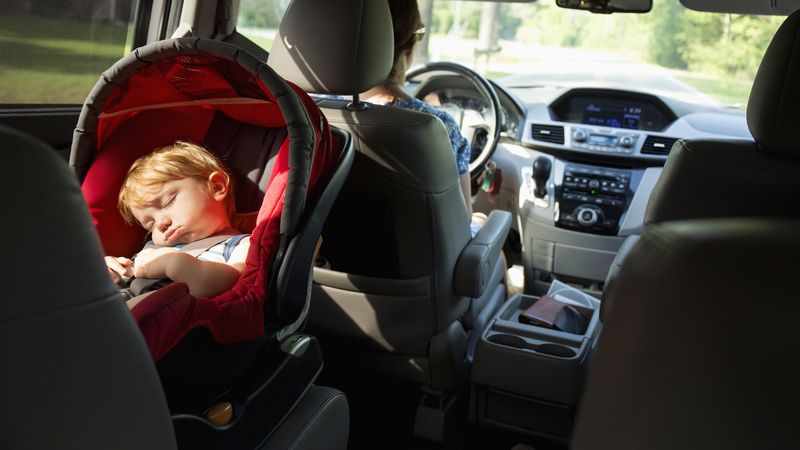 However, it is imperative that parents follow these new guidelines, as proper car and/or booster seat use can help decrease the risk of death or serious injury by over 70 percent, according to the AAP.